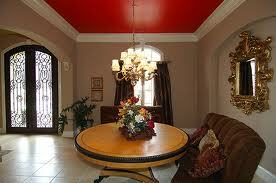 Give instant lift to your space by painting your ceiling a color. Color on the ceiling draws your eye up, changing the look of the space. For more great ideas visit http://www.cheapchicdecor.com/.